Theme is one of the most important parts of your WordPress blog or website. A good theme can do wonders for your WordPress blog and a bad one can have negative impact on your blog performance and traffic. So you should choose your WordPress theme very carefully and if possible you must go for Premium WordPress themes. Premium WordPress themes are the ones which you have to buy from a developer or the company that makes premium WordPress themes. They may cost you some bucks but they are always far better and feature rich as compared to free WordPress themes. Here are some main advantages of buying and using a premium WordPress theme for your blog or website. Premium WordPress themes come with many more advanced features and options, which can make your work very simple and easy. These advanced features and options generally includes easy ad management, premium widgets, built-in Google fonts, variety of theme colors and styles and much more depending upon the premium theme you are getting. 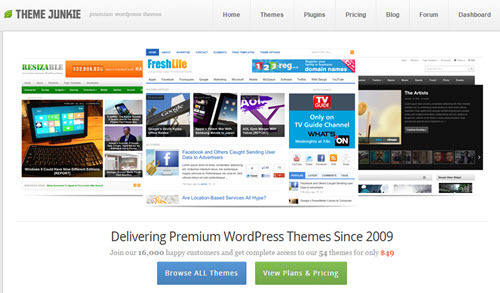 So it is always better to invest in a premium theme rather using free WordPress themes. Premium themes have clean optimized code and they loads very fast. Their performance is generally far better than the majority of free WordPress themes available on the internet. If your website loads fast then your visitors will love it and it leads to more pageviews on your site or blog. More visitors and pageviews means that you can make more money from your WordPress site or blog. Premium themes are well optimized for SEO by their developers. An SEO friendly theme means that big search engines like Google will love your site and rank it higher in search results if you have great quality content on it. You will get free premium support for your premium WordPress themes by the company or the developer. This means if you have any query or run into trouble with your theme then you can ask your query in the premium support forum and they will answer it back with a solution. Premium themes are free any malicious code or malware whereas in free themes there may be some kind of malicious code hidden in them if you download it from unreliable and untrusted sources. You will get regular updates for your premium theme if there is any compatibility issue with the new WordPress version whereas free themes are generally not updated and not well maintained by their developers. Here are the some of the best WordPress Premium theme companies that offers premium themes at affordable prices. MyThemeShop is a very popular and respectable premium WordPress theme company. They have wide range of premium themes ranging from blog themes, business themes, eCommerce themes, magazine themes and misc themes. MyThemeShop also makes some good premium WordPress plugins that can further enhance the functionality of your WordPress blog or website. All MyThemeShop themes are responsive, loads fast, ads ready and SEO optimized. I personally own couple of MyThemeShop premium themes and I am totally satisfied with them. So it is my personal recommendation to go for MyThemeShop premium theme. At first MyThemeShop premium themes don’t look so much affordable but you can get any MyThemeShop theme at 50 percent discount using my coupon code mentioned below. Theme Junkie is another good WordPress premium theme developer. They do not sell single themes and their themes are available as part of their membership plan. The best thing is that from Theme Junkie you can get all their premium themes at only $49 for lifetime.You can use those themes on unlimited number of websites, remove the copyright links and also get free lifetime support for the themes. One Premium Theme will cost you $0.9 only which is even less than a dollar. So if you need many great premium themes at great price then Theme Junkie is the way to go. 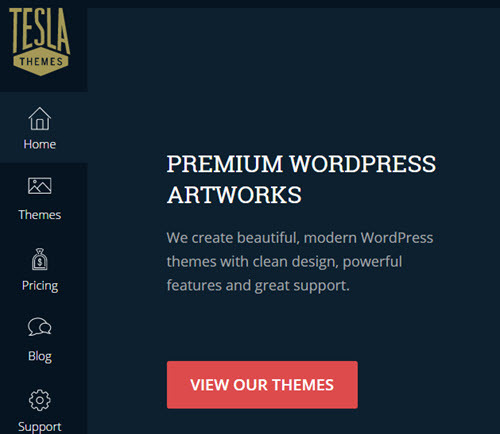 Tesla Themes is also a quality premium theme developer. They do sell single themes and also offers membership plans in which you can get access to all their themes. All Themes from Tesla Themes are very good looking and have modern layout and design. Also their themes are responsive and they have themes for almost every genre or category. So if you want good looking modern design themes then Tesla Themes is for you.